If you remember Arkanoid; an arcade game first developed by Taito in 1986, with the bat like device scrolling from side to side at the bottom of the screen, bouncing an orb back and forth and smashing blocks for a high score. 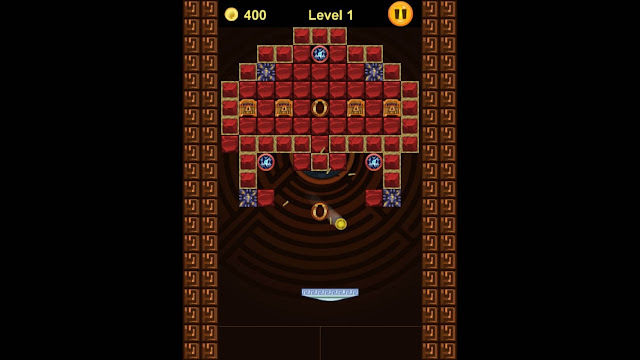 Then you might be interested to know ilovegameswow has released Arkanoid Mythology; an Indie game which is inspired by that classic game but instead is themed on the legends of Ancient Greece. According to the developer Arkanoid Mythology features a number of levels based on Mythology such as Minotaur's Labyrinth, Gorgon’s Lair, Gates of Cerberus, Realm of Hades and Halls of Zeus with every brick breaker's location looking different with a number of levels which vary in difficulty, bonuses, bricks and design. For those of you who remember the original game will be pleased to know Crush of Mythology block breaker contains levels adapted from the original game and its sequel.